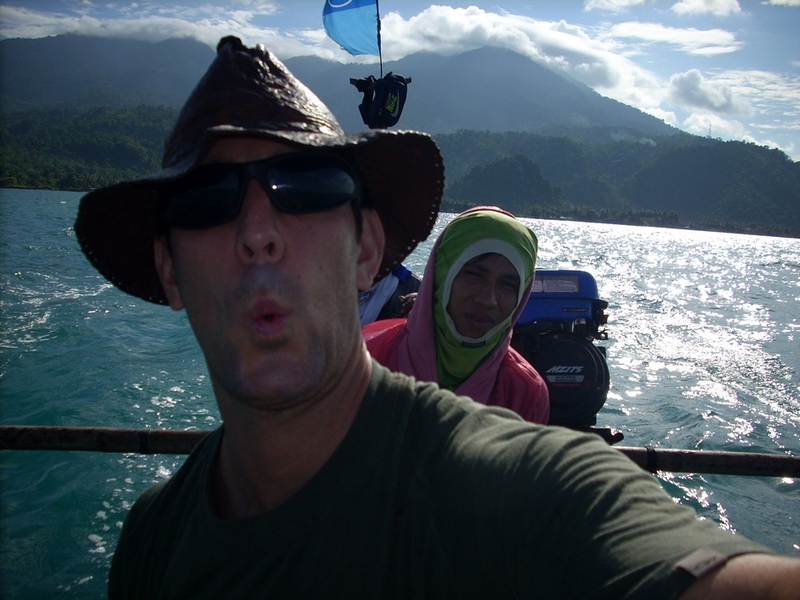 June 10th, 2009 - So I gave it another shot on the tiny boat. This time the engine was purring like a kitten. Slow but functional. I think the engine might be 1 hp when its windy. 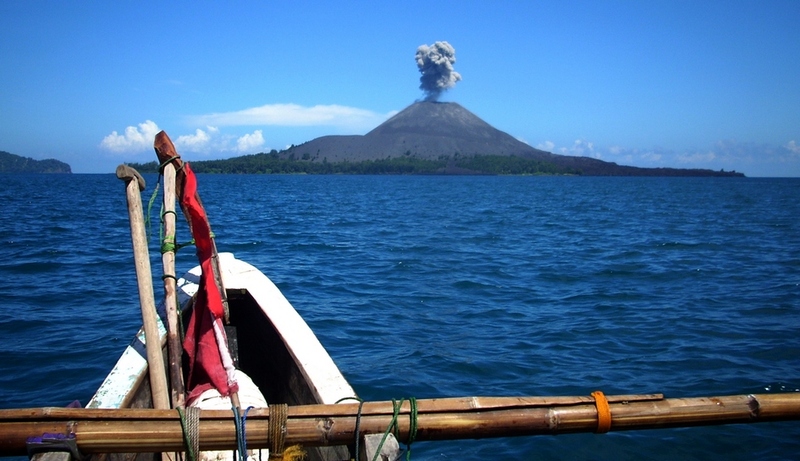 The trip out to Krakatoa took at least three hours. Sit Buddha style for three hours on a souped up canoe and tell me how that feels. 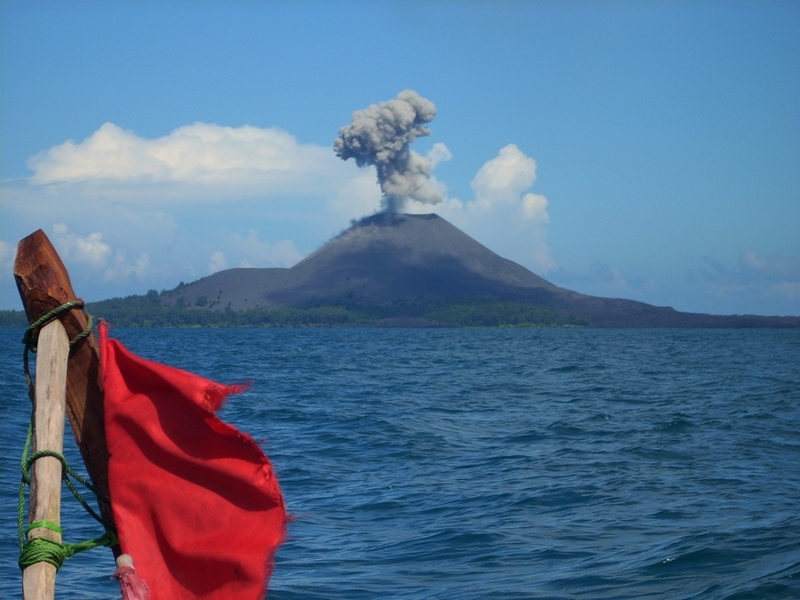 Despite the inconveniences it was a pleasant float out to the volcano. Little Krak is quite active these days. 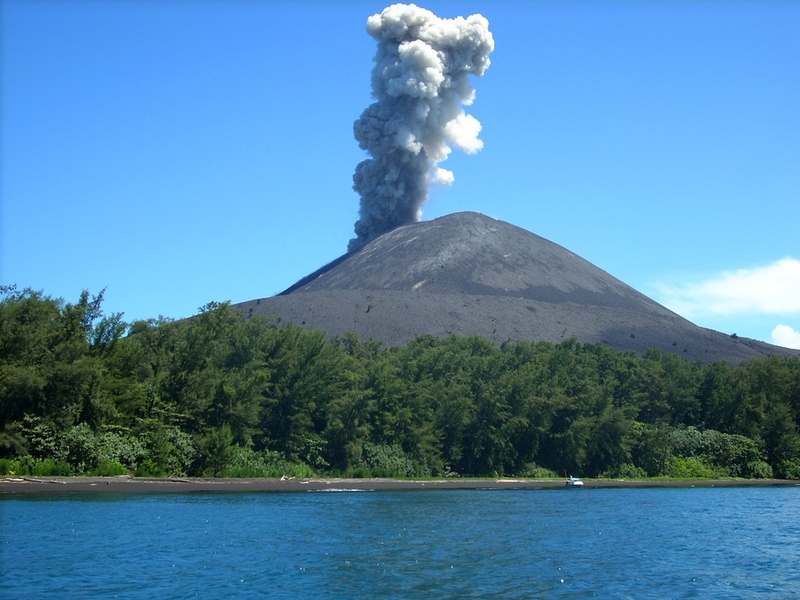 You could see it spewing smoke from mainland Sumatra. I was wondering on the approach if it would be possible to do a quick jaunt up the side when we reached the island. When we arrived I got my answer: No f***ing way! 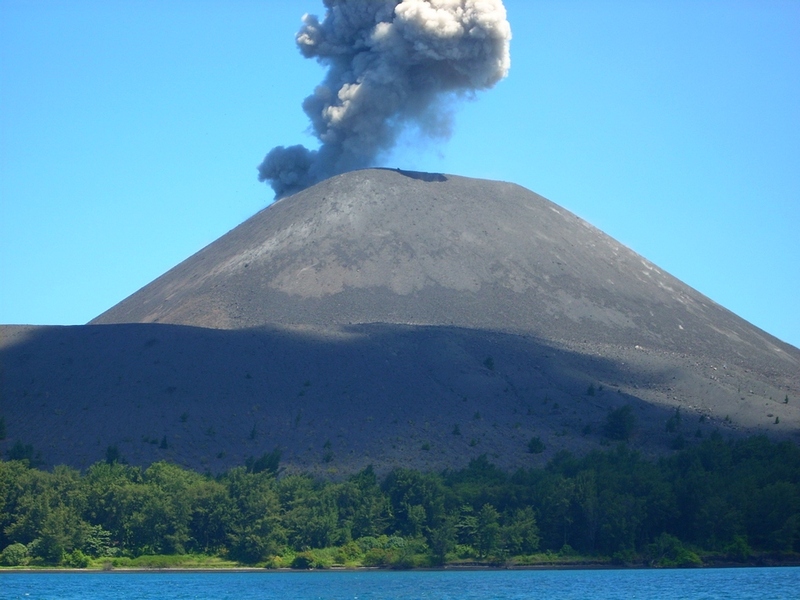 It was not just shooting smoke and ash but was serving up generous helpings of pyroclastic goodness. As we came closer I could see rocks and debris flying out of the cone. This would be the closest I’ve come to an erupting volcano. By volcanic standards Krak was merely spitting. 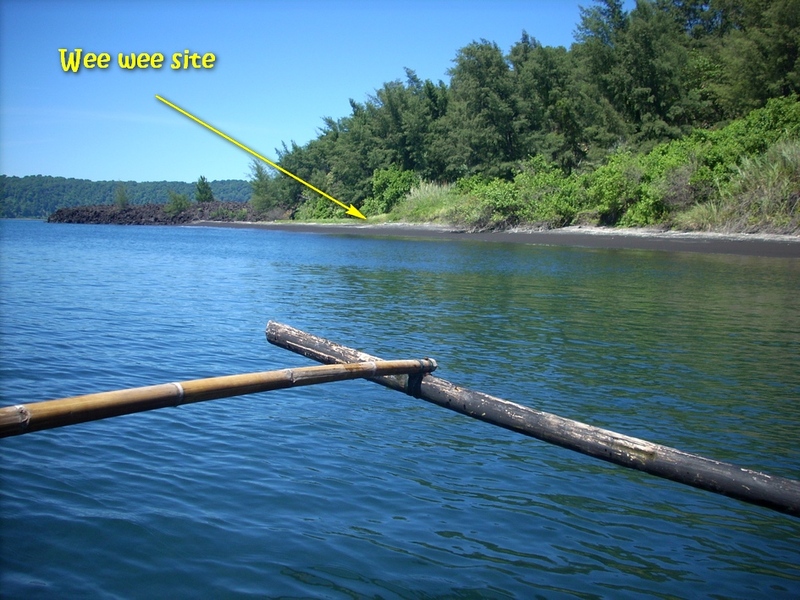 None of the debris made it very far from the cone and came nowhere near the water. This did not preclude the captain and my guide from voicing their concern. We were supposed to actually stop at the island for a bit of a swim and possibly a little snorkeling but they wanted none of it. I just spent over three hours hunched over. I was willing to chance it. Clearly, I'm an idiot. 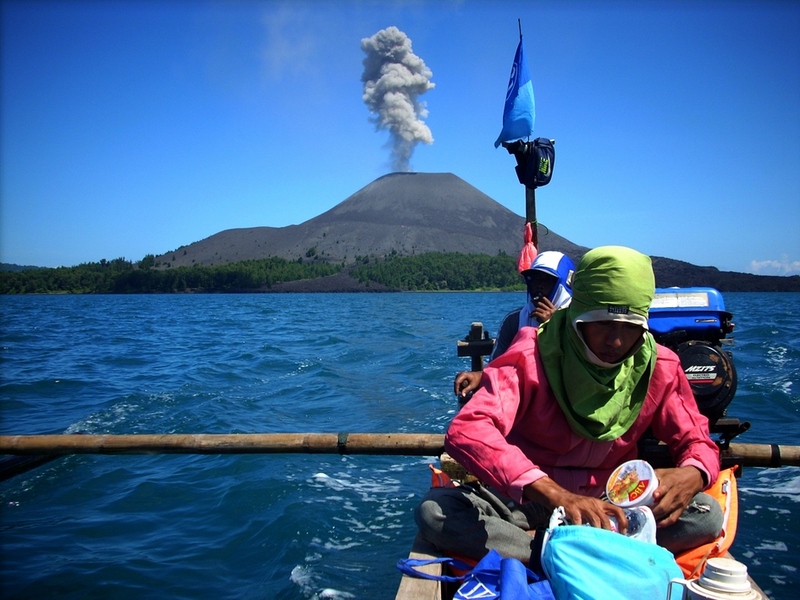 Instead we did a loop around the volcano in the boat. So it was too dangerous to anchor on the island and swim but cruising along the edge in a boat was permissible? Right. Every time an eruption occurred the captain would make evasive maneuvers, as if that would save us if that sucker decided to really blow a gasket. We did, however, make a quick stop on the island. I was in dire need of a pit stop (like a race horse in last place on barbiturates if you catch my drift). The dialogue leading up to this detour was rather comical. When I first discovered that we would not be stopping, merely doing a loop and heading back I made my situation clear….. sort of. To this plea I received two vacuous stares and no verbal confirmation. I thought maybe they got the idea so I let it go for the moment. 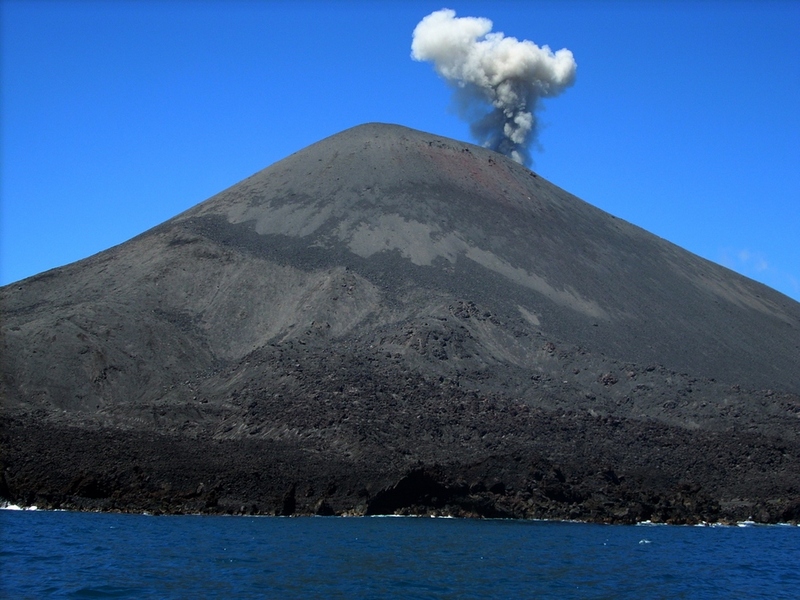 When we had almost circled the volcano I was again told we were heading on. Something about swimming at another island. I asked how long till we arrived and was told two hours. My bladder responded with Nuh-uh. I don’t think so mister. The dance began anew. More vacuous stares. Time to engage dictionary. 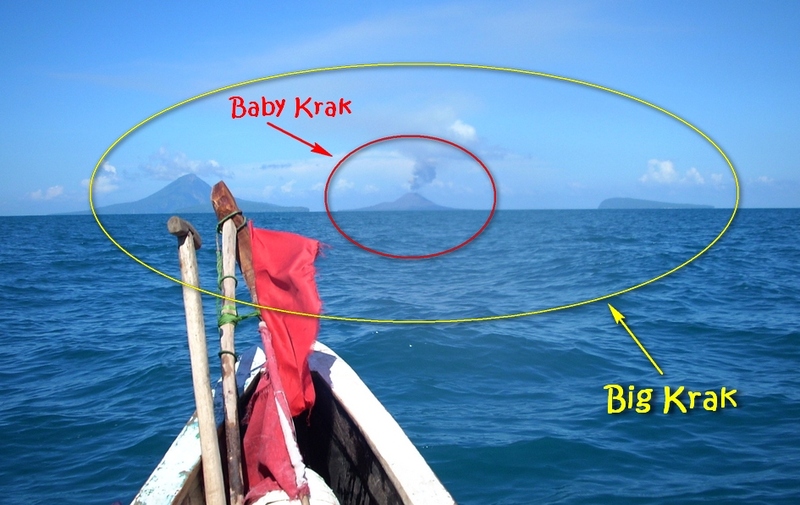 Another thunderous eruption from little Krak. “Buang air kecil (I had the words in the wrong order). Buang air kecil? I have to piss now! Pee-pee. Sekerang ini! Right now. Buang air kecil. Buang air kecil?" “BUANG……AIR…….KECIL. SEKARANG INI! !” Translation: DEF CON 5. I NEED TO PISS RIGHT NOW MUTHER FUCKER! FUUUUUUUUUUCK!!!!!!!! Finally, I was given the reprieve I was yearning for, a quick pit stop on Baby Krak's doorstep. My bladder rejoiced. The volcano spared us.